Germany has a large diversity of countryside, culture and climate. 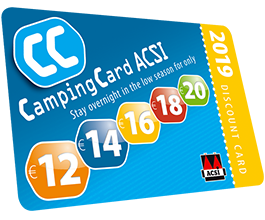 From the northern Coast to the beautiful forests in the centre and the mighty Alps in the south, Germany has the right thing for every camper. The country also has an excellent cuisine, with well-known dishes such as bratwurst and schnitzel. Dishes which are made better, of course, by the company of a delicious German beer. You will find enchanting castles and fortresses everywhere in Germany. The most famous one is Neuschwanstein Castle in Bavaria, also called “The Castle of the Fairy Tale King”. The castle was built in the 19th century for King Ludwig II of Bavaria. The musical fantasy world of composer Richard Wagner and the German epic poem tradition were the inspiration for the castle’s design. This is apparent from the Romantic architecture of the castle. During the winter, Germany has something very special to offer: Christmas markets. In many German towns, from the end of November until the holidays in December, you can amble past stalls with Christmas decorations and delicious things to eat. But outside the festive season the market squares are also definitely worth a visit. The market square in Bremen, for example, is very appealing with its Gothic architecture and spacious design. Germany has many special natural areas, such as the Black Forest in the south or national park “Hamburgisches Wattenmeer” in the north. Another stunning landmark is the Bastei in Saxony. This rock formation allows beautiful walks with a view over the Elbe river. One of the routes leads you over the famous Bastei Bridge, which takes you right through a number of rock formations. In Germany you will find many campsites on rivers and beaches, on mountains and in forests. Beautiful spots to park your caravan. 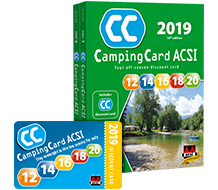 With your CampingCard ACSI, you can camp for a low price at small, intimate campsites as well as at larger campsites with more amenities. Many campsites in Germany also have marked walking routes near the campsites so that you can have a lovely day out. Frankfurt am Main has an extensive cultural centre. The city houses around 60 different museums and galleries. With, among other things, the yearly Buchmesse (book fair) and the world’s largest car show (Internationale Automobil-Ausstellung), the city has an important position in Europe. Germany’s history includes many famous people who are at the foundation of Europe’s culture. The brothers Grimm and their fairy tales, the playwright Johann Wolfgang von Goethe and Immanuel Kant who wrote important philosophical works are just a few examples. 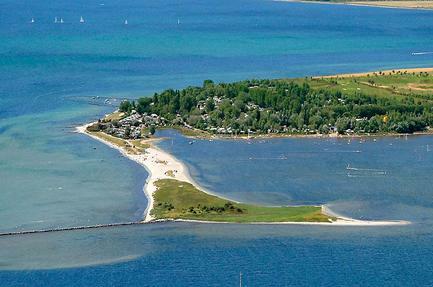 Germany has a temperate maritime climate throughout the year. In the spring and autumn low seasons, temperatures in Germany are around 15 degrees Celsius. These are excellent temperatures for a walk or a cycling trip during your camping holiday. The mountainous area in the south also offers great winter sports possibilities in the winter period.